This bike, dubbed the Leafy Savage, is one such finished product that shows Matt’s Night Shift Bikes got some serious talent in the arena. It’s built out of a 2003 Suzuki Savage but looks born for the electric lifestyle. In the rear hub lies a black motor, hooked up by Enertrac. Cleary it doesn’t need a transmission but you can see the wires connected from the motor to the main Kelly controller -rated for 250 amps- under the bike’s swing arm. He also gutted the motor for obvious reasons and replaced it with a Nissan Leaf battery pack of cells producing a total of 116 volts. 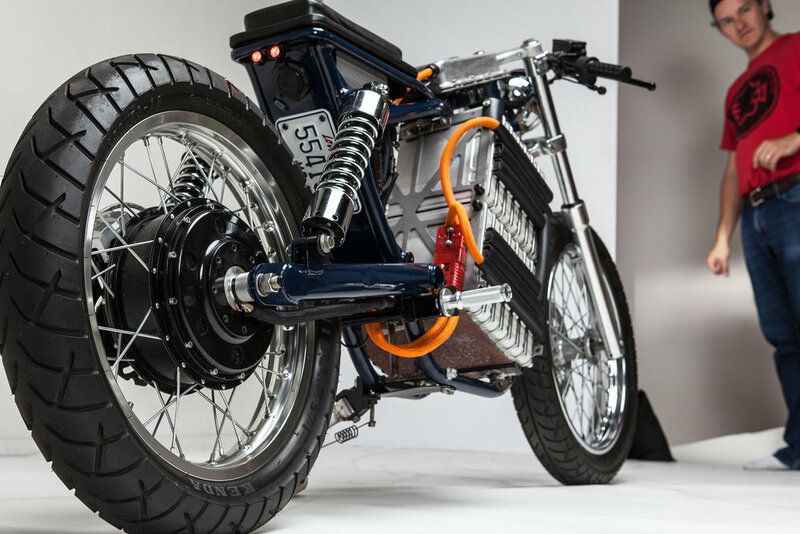 Based on its current configuration the bike boasts a range of 100 miles on a full charge. However, this is easily adjustable thanks to the bike’s Eltek charger that provides up to 3000 watts and 220 volts. 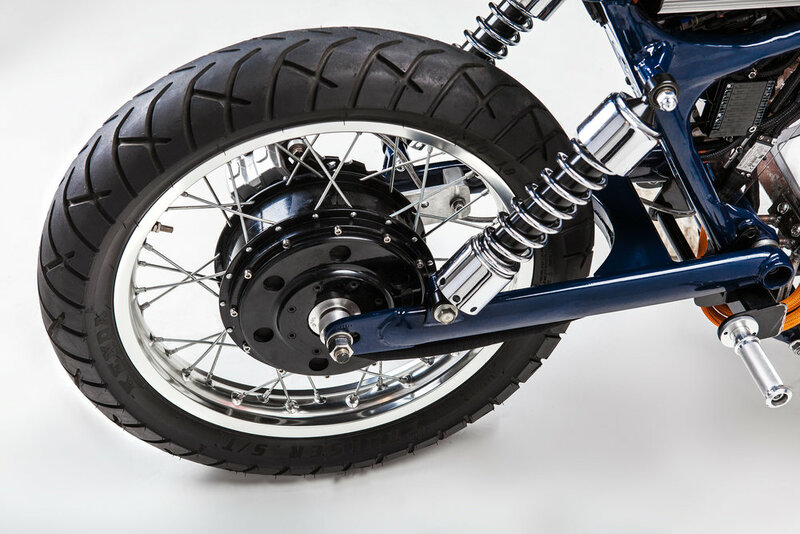 Matt also equipped the bike with upgraded shocks, a kickstand mod, rear disc brake and LED lighting.